`Senior White House aides and press secretary Sean Spicer are searching for a new face at the White House podium, according to several reports. 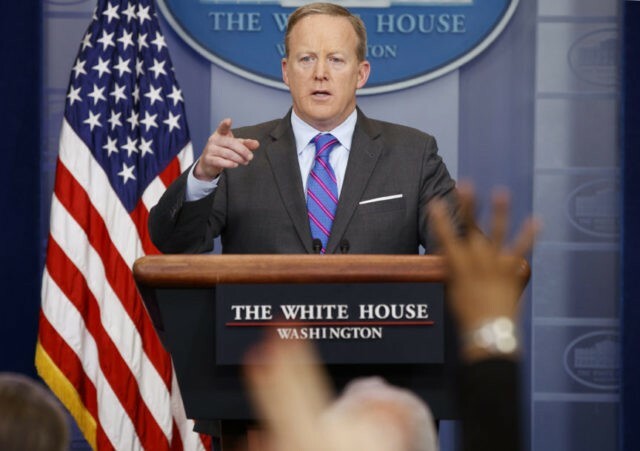 Both reports signal that Spicer wants to move into a more senior communications role, shifting the daily banter with the press to a new face. Spicer and White House chief of staff Reince Priebus reached out to Laura Ingraham to discuss a possible position, according to Politico. Daily Mail editor David Martosko was not interviewed, according to Bloomberg. Politico reports that Fox News host Kimberly Guilfoyle is no longer interested in the position and few serious prospects for the position have surfaced in the process.